When Betsy Evans Hunt met the photographer Todd Webb in 1988, he was done with the gallery scene. He was in his 80s by then, and had enjoyed many museum exhibitions and a successful international art career, critically and commercially. 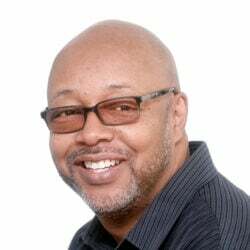 A bad experience with a gallery in the 1970s soured him on the prospects of going back down that road. Instead, Hunt, who had just opened a gallery in Portland, pursued a friendship with Webb and his wife, Lucille, who had moved to Maine for their retirement. Hunt ended up selling some of Webb’s photographs, but their relationship was based on respect and genuine interest in each other’s lives and families. 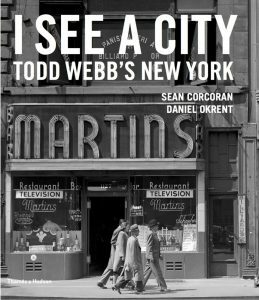 “I See a City: Todd Webb’s New York.” By Sean Corcoran and Daniel Okrent. Edited by Betsy Evans Hunt. Thames & Hudson. Nov. 21, 2017. Hardcover. 176 pages. $45. 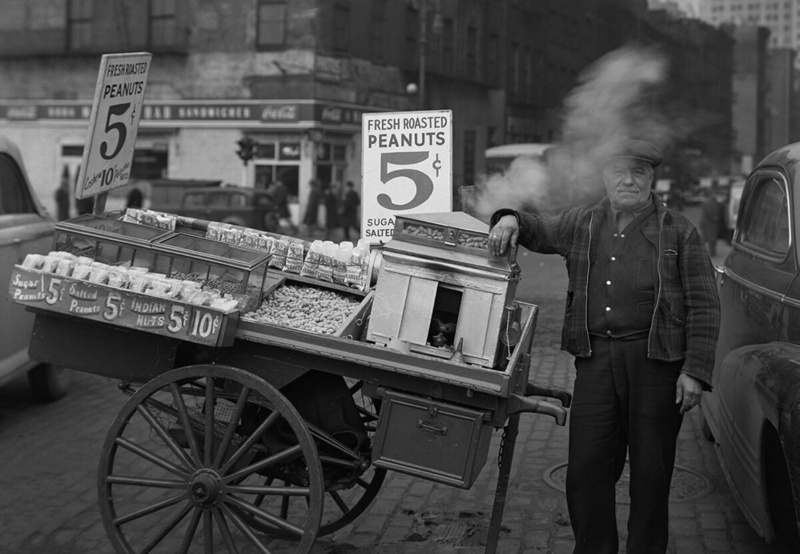 After the Webbs died, Hunt acquired his archive, and now, after years of work, she has edited a new black-and-white photo book that highlights Webb’s time on the streets of Manhattan in the 1940s. 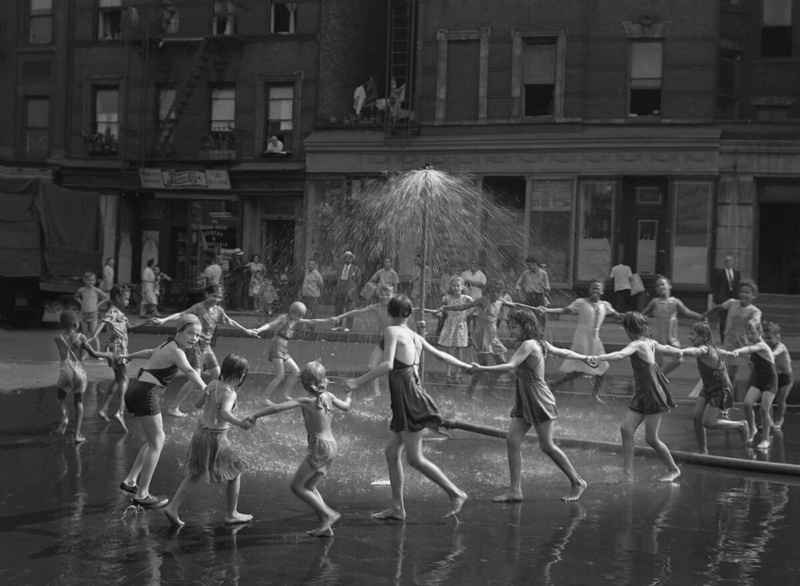 “I See a City: Todd Webb’s New York,” published by Thames & Hudson in November, presents Webb’s rich and exhaustive exploration of everyday life in New York in the post-World War II years. The book accompanies the exhibition, “A City Seen: Todd Webb’s Postwar New York, 1945-1960” at the Museum of the City of New York, where Webb had his first solo exhibition in 1946. The recent exhibition closed in September. 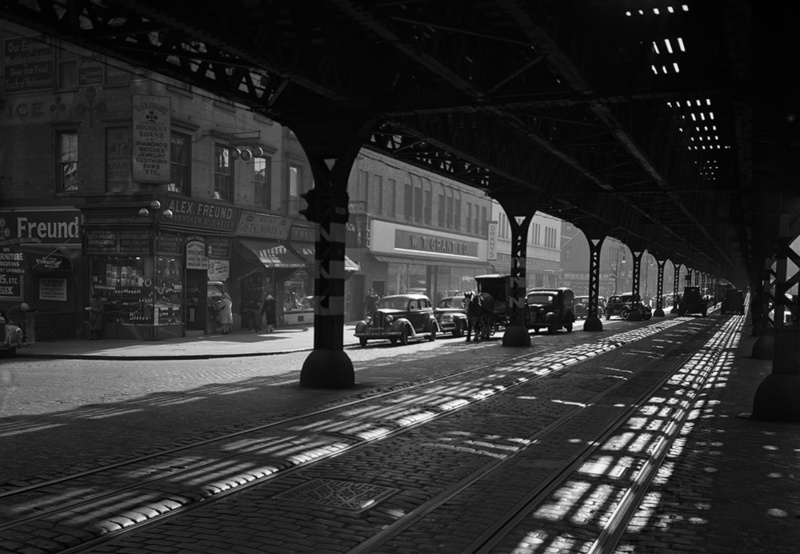 “Under the El, Third Avenue” 1946. As executive director of the Portland-based Todd Webb Archive, Hunt was responsible for bringing the elements of the book together. 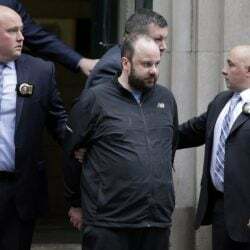 She recruited Daniel Okrent, a writer and essayist, to write about New York and how Webb’s photos reflect the city, as well as Sean Corcoran, a curator at the Museum of the City of New York, who wrote about the photos. Webb worked at street level, and focused on people and architecture. He studied with Ansel Adams, but decided early on that he wanted to make work about cityscapes instead of landscapes. He viewed New York as a community, and tried to reflect that attitude in his images of the city. He worked with a large-format camera and tripod, and preferred exploring the city on foot so he could talk with the people around him. He captured images of local shops and neighborhoods, and occasional skyscrapers, and worked day and night and in all weather. Betsy Evans Hunt and Todd Webb in 1991. Photo courtesy of Todd Webb Archive. Hunt said the photos in the book mirror Webb’s personality that she got to know nearly 50 years after he made this work. 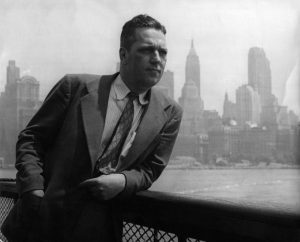 This photo of Todd Webb was used as a promotional picture in 1946 for Webb’s first show at The Museum of the City of New York. Webb died in 2000; his wife died in 2008. He was born in Detroit, Michigan, in 1905. Among other things in life, he spent seven years prospecting for gold and working as a fire ranger. He bought his first camera in 1938, and joined a local camera club. In 1940, he took a workshop with Adams, and later worked as a Navy photographer in the South Pacific during World War II. He moved to New York in 1946, and immersed himself in city life and the art scene, befriending Alfred Stieglitz, Georgia O’Keeffe, Walker Evans, Berenice Abbott and other artists. Webb’s 1946 exhibition at the Museum of the City of New York established his reputation nationally and internationally, Hunt said. He worked in Paris and across Europe, documenting the efforts of people in Germany, Holland and Belgium to rebuild their lives after the war. In 1955, he won a Guggenheim fellowship to walk across the country and document the trails of the early settlers who journeyed west to Oregon and California. He and Lucille lived in New Mexico for most of the 1960s, where they enjoyed a close friendship with O’Keeffe, and lived in France until the mid-1970s. They moved to Maine in 1976, living for a year in Portland before moving to Bath, where they spent most of the rest of their lives. 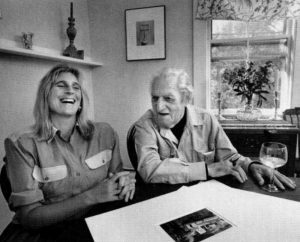 As a couple, they were active in the Portland art scene, attending openings and contributing to the city’s emergence as an arts center. Hunt, who was in New York last week for a signing and promotional event, expects the recent exhibition and book will signal renewed interest in Webb’s photography. She is working with the Museum of the City of New York to arrange other venues for the exhibition, which was designed to travel. The archive recently acquired an 1,800-page journal of Webb’s, which recounts many of his adventures. She is in the process of going through it, and Hunt expects to organize other books and exhibitions. For now, Hunt is happy to have the book finished.